We’re all feeling a little sluggish after the last few weeks of over-indulgence. With new year’s resolutions front of mind, we caught up with Nutritional Therapist Jo Saunders over a cup of peppermint tea to share some of the natural benefits of peppermint and gain some useful tips and quick wins to get 2018 off to a flying start. I am fortunate to work as part of the NatureDoc team of Nutritional Therapists, in private practice and remotely. I work to address a clients health needs using a Functional Medicine perspective, which means looking at the body as a whole. After a full consultation and health history, we identify the triggers and root cause to their symptoms/health condition. Sometimes we carry out functional testing which enables me to underpin my recommendations with science and help identify the root cause of any health challenge. I will then create a completely personalised dietary, supplement & lifestyle protocol to help that individual optimise their health. Do you recommend natural herbs as part of your nutritional plans to your Clients? Yes absolutely, and in fact I feel they are greatly undersold for their therapeutic benefits. I use herbs to help with everything from digestive function, hormones, mood and sleep. They have wonderful therapeutic properties that are hugely effective for supporting health, and also taste fantastic which helps! When would you promote the use of peppermint and its benefits to your Clients? Peppermint is traditionally used internally to ease digestive upsets. Peppermint contains volatile oils, including menthol and menthone, which are known for their carminative, antispasmodic and nervine properties. It also has antibacterial and antiviral properties. I also recommend it to breastfeeding mothers as the oils will pass into the breast milk easing digestive discomfort in infants. 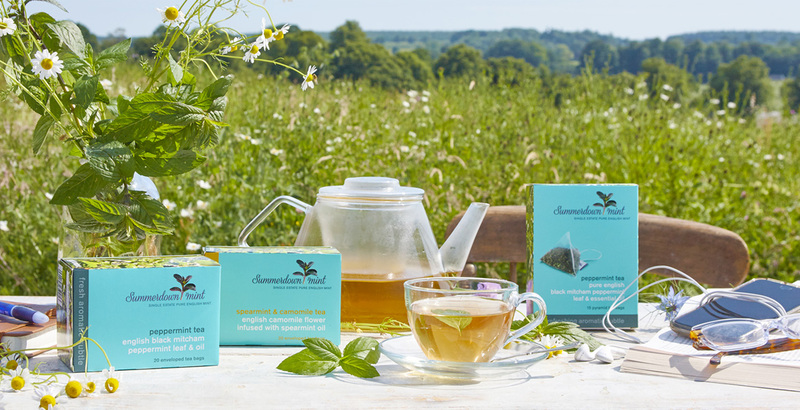 You’ve recently discovered Summerdown’ range of award-winning peppermint teas. What did you think? The Summerdown peppermint teas are some of the purest and freshest I have come across, they are both delicious and therapeutic. The second you open the box you are aware of the beneficial essential oils and potential health benefits of the teas. 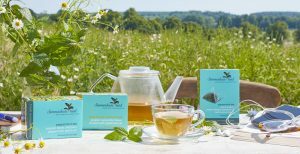 I particularly like Summerdown’s clever combination of spearmint and camomile tea, a herb renowned for its nervine properties to help calm and relax. I find this blend particularly effective for those who struggle with digestive discomfort triggered by anxiety or stress. Do you choose natural body bath and home products? If so, why, and what are the benefits of using natural products on your skin? I am a huge advocate for using natural products, both on our skin and in the home and I am passionate about encouraging clients to reduce their toxic burden by swapping to natural products where possible. This can have a negative impact on our health and impact on our detoxification pathways. I would always recommend choosing natural products for everyone, but it is particularly important for anyone struggling with problem skin, sensitive & dry skin, eczema etc. Do you feel that a fragrance has the power to influence your mood? I am a huge fan of essential oils and find the impact their properties can have on both mood and energy levels quite amazing. Whilst I am working, seeing clients or writing articles, I love the uplifting combined fragrance of Summerdown’s signature lemongrass and mint to help energise, stimulate clear thinking and help improve my concentration on a busy day. 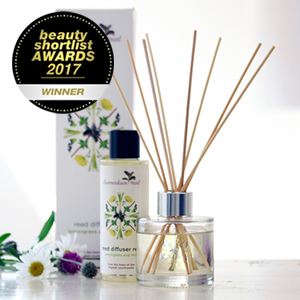 I often use Summerdown’s candle or reed diffuser in my practice room. …and finally…. 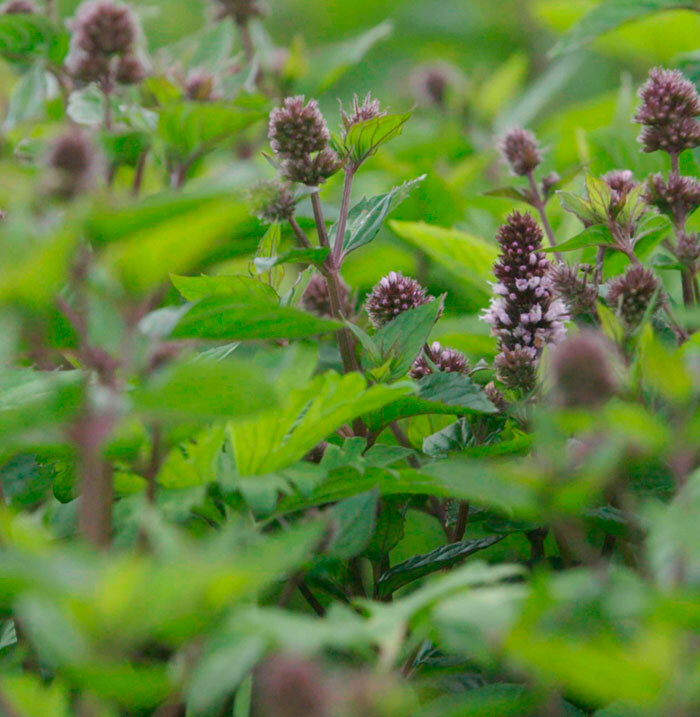 do you have any tips you could share on other uses of our pure peppermint and lavender oils? 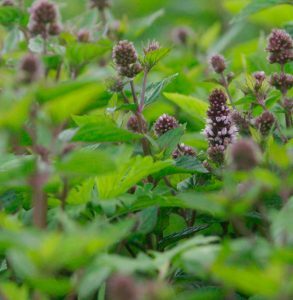 Peppermint oil (mixed with a carrier oil) can also be used as a topical analgesic (pain reliever) for muscle pain, neuraliga & headaches and also used as an effective inhalation for sinus congestion, coughs and colds, particularly in combination with thyme and eucalyptus. A few drops of lavender in a warm bath or on your pillow is a wonderful relaxing sleep aid for occasional insomnia. Lavender also possesses antidepressant, antibacterial and anti-inflammatory properties so it can be helpful for boosting mood. Jo Saunders is an experienced Nutritional Therapist and co-author of popular healthy family recipe website, www.cookingthemhealthy.com. 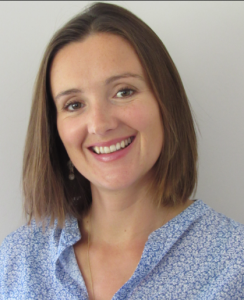 Jo juggles family life with her 3 children with seeing clients in her practice, writes regular articles relating to health & nutrition and runs Cooking them Healthy workshops with her chef partner Georgie.